A Story About Rose From Dr. Harry Owens Jr.
Dr. Harry Owens Jr., is a legend at CMMB. His epic experience serving in some of the most challenging contexts around the world has been a huge blessing for CMMB’s volunteer program. Not only has he served as an international volunteer with us, he has also returned to CMMB’s headquarters in New York City on several occasions to share his knowledge and compassion with our outgoing volunteers during our biannual volunteer orientation. 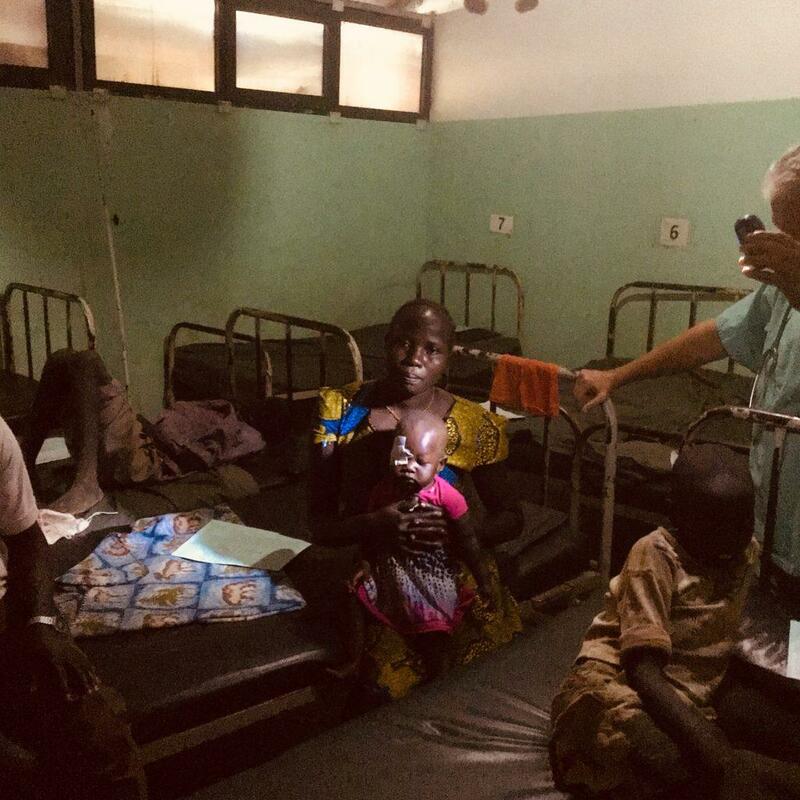 Dr. Harry first served with our team in South Sudan at St. Theresa Hospital. He just recently served in the Nuba Mountains of Sudan supporting Dr. Tom Catena at the Mother of Mercy Hospital. Below, he shares the story of baby Rose, a 13-month-old who arrived at the hospital in need of life-saving surgery. **Due to the sensitivity of the story below, the images featured throughout are representations of Rose and her story. 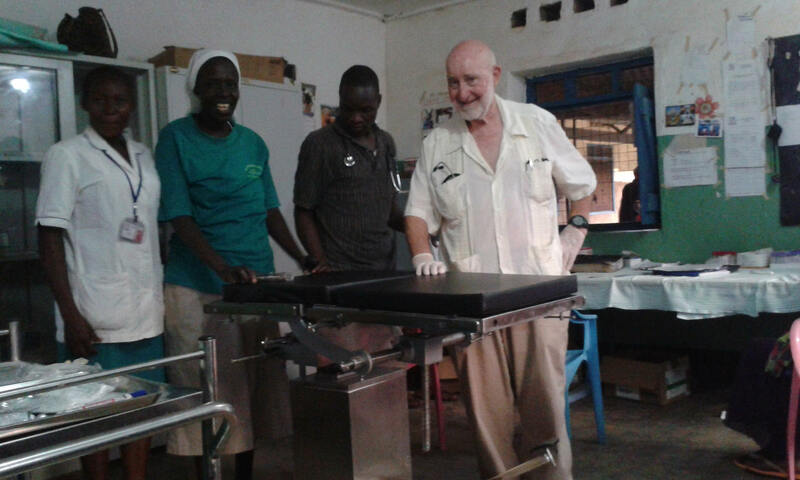 Dr. Harry with Sister Jane and other members of the medical team at St. Theresa Hospital in South Sudan. I arrived at Mother of Mercy Hospital in Sudan in October. If you’ve never heard about this place, you’re not alone. Nicholas Kristof called it the worst atrocity you’ve never heard of. You see, the Nuba Mountains is a place ravaged by war. I highly recommend that you watch The Heart of Nuba, to learn more about atrocities happening in this region and the amazing work of CMMB volunteer Dr. Tom Catena, who I am supporting here at Mother of Mercy Hospital. But this story isn’t about the politics of this region. This story is about Rose. 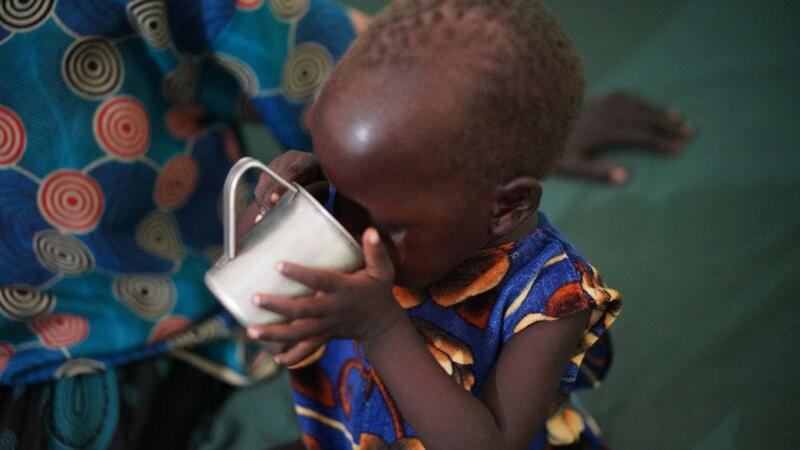 Rose is 13 months old and lives in the Nuba Mountains of Sudan. I met her shortly after I arrived to Sudan. Weeks before, her mother noticed that Rose’s right pupil was beginning to look white. When things didn’t improve and she noticed it getting worse, she decided to bring baby Rose to the Mother of Mercy Hospital. It’s important to understand the situation here in Sudan for people seeking care. Her delay in seeking care was not for lack of concern or compassion – it was because the distance from communities to Mother of Mercy Hospital – the one and only hospital in the region serving over one million people – can be days and days away by foot. The decision to leave home, other children, and all the responsibilities that come with being a mother in a place like Sudan, is not easy. But she knew she couldn’t wait any longer. Rose was seen at the hospital’s clinic and immediately diagnosed with Retinoblastoma in her right eye. Retinoblastoma is a highly cancerous tumor and occurs principally in babies and young children. Dr. Tom Catena, the Medical Director and Chief Surgeon at Mother of Mercy, along with Dr. Clarke McIntosh, a volunteer pediatrician, explained the seriousness of Rose’s cancer to her parents. The initial treatment requires immediate removal of the entire eyeball in the hopes that the cancer has not already spread. Two days after Rose arrived at the clinic she was taken to the operating room. I assisted Dr. Tom in Rose’s operation – enucleation – and we removed her cancerous eyeball. There was no evidence that Rose’s cancer had spread beyond her eye. However, it is difficult to tell for sure with the limited equipment we have at the hospital. Rose recovered well from her operation and was allowed to go home to continue her recovery. She will now undergo several bouts of chemotherapy and we will wait, and hope the tumor has indeed not spread. Dr. Harry Owens Jr., is one of over 700 volunteers we placed in 17 countries this year. Are you interested in volunteering with us? Click to learn more.